Dr. Donald J. Wagner II, Technical Marketing Manager, BIOSAFE, Gelest Inc.
Dr. Donald J. Wagner II invented the patented silicon-based antimicrobial polymer known as BIOSAFE, and currently is technical marketing manager for Gelest Inc. Following an exclusive licensing agreement, in 2016, Gelest acquired the Biosafe technology outright from Biosafe Inc. In April 2017, HM4100 Antimicrobial — marketed as Biosafe — received full U.S. Environmental Protection Agency (EPA) registration for food contact substrates, and in July 2017 the product became certified under NSF 51 for food contact. 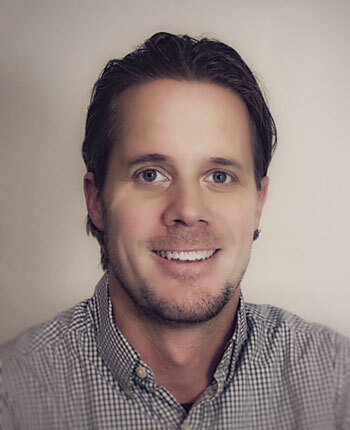 Wagner graduated from Virginia Polytechnic and State University in 2001. Textile World: What is currently happening in the antimicrobial market for medical textiles, and what are companies focused on? Wagner: Fashion, function and controlling costs are probably the three biggest things. 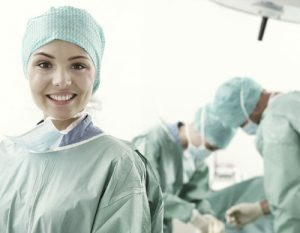 Scrubs have become fashionable and even a pseudo-status symbol for health care professionals such as nurses and doctors. The medical textile function is important in that the textiles are barriers between healthcare workers and their patients. Not only are scrubs the uniform of the staff, making healthcare workers are easily identifiable to patients and family members, they are also the physical barrier. Fluid barriers for medical textiles can be hydrophobic and oleophobic. Recent advancements in fluid barrier technology help scrubs shed water and other fluids that can contain disease-causing microbes. A textile’s ability to repel fluids is important in keeping the textile clean, but there are new technologies that deliver antimicrobial performance to the textile itself on a continuous and ongoing basis. Such technologies control microorganisms within the textile, keeping them from being a vector for the transmission of microorganisms associated with the healthcare environment. TW: What characteristics or properties does the medical community require for medical textiles? Wagner: The key is protection. The fluid barrier and antimicrobial chemistry add a unique level of protection that a standard textile lacks. The Journal of Hospital Infection in March 2015 pointed out that healthcare textiles, including uniforms and apparel, are vectors for transmission of microorganisms that cause infections and illness to healthcare workers, patients, and the community. The impact is underestimated because of the lack of point-source investigation of textiles during outbreaks. TW: What factors must a manufacturer consider when launching a new antimicrobial textile in the marketplace? Wagner: Price and performance. The medical textile that has excellent fluid barrier properties and antimicrobial performance is certainly valuable, but it may not warrant a price twice that of a standard medical textile. For context, imagine a medical textile containing an antimicrobial technology that prevents a $20,000 infection. Then, of course it’s worth the 100 percent premium. But from a clinical perspective, how would you find causation between the textile and preventing the infection? It is very difficult. The industry should take a common-sense approach and use medical textiles that are cost-effective, but also have the technologies that could prevent the spread of infection. TW: What are the regulatory requirements for medical textiles, and how does this affect marketing? Wagner: Medical textiles fall under both EPA and U.S. Food & Drug Administration (FDA) jurisdiction. It’s a situation called dual jurisdiction. From a commercial textile point of view, this is an EPA issue. It falls under the Federal Insecticide, Fungicide, and Rodenticide Act (FIFRA) division of the EPA and its Pesticide Registration (PR) Notice 2000-1. But from a medical textile perspective, scrubs can be considered a medical device if delivering antimicrobial performance. Navigating the overlapping jurisdictions and governing rules with EPA and FDA can be a tough path. A company launching an antimicrobial medical textile must ensure that the active ingredient is EPA-approved for use on textiles, and additionally is acceptable as a modifier to medical devices under FDA guidance. TW: How is Gelest BIOSAFE HM4100 antimicrobial different from other antimicrobials used in medical textiles? How does it work? Wagner: There was an existing silane quat antimicrobial which was invented and commercialized in the 1970s. Unfortunately, it was flammable and poisonous. The company Biosafe worked with this material, and in the process invented a newer version. We found our niche by polymerizing the existing monomer into a dry powder. This new HM4100 Antimicrobial dry powder could be compounded in plastics, dissolved into water, used as a surface treatment, or even spun into man-made fibers. The breadth of application of the existing technology was expanded greatly by the Biosafe antimicrobial powder’s ability to remove the volatile organic compounds, flammability and poisonous aspects of the older methanol-based solution. BIOSAFE® protects materials used in a wide range of consumer and industrial applications where microorganisms can cause staining, pitting, deterioration or foul odors. The Biosafe mode of action is to physically disrupt the cell membrane. By contrast, traditional biocides work by poisoning the cell from the inside out. Most old-school biocides are based on heavy metals or chlorinated phenols and leach out of textiles. They are metabolized by the microorganism. When enough of the poison builds up inside the microorganism, it causes lethal mutations to the DNA and cell lysis. Unfortunately, this mode of action also leads to adaptive organisms, or as they are known in the healthcare environment, superbugs. Because Biosafe is non-leaching and is not metabolized by the microorganism, nothing is transferred to the cell and the microbe has no chance to adapt to this mode of action. TW: In what form is Biosafe antimicrobial available for textile production, and what benefits does it provide medical textile manufacturers? Wagner: It is available as a dry powder or as a liquid in water or solvent. The Biosafe material can be spun into fiber directly, used in fiber finishing methods, or as a treatment to finished textiles. The hydrogen bonding and covalent bonding ability of the polymeric siloxane make it ideal for treating textiles. To be competitive, medical textile manufacturers must address the ongoing concern about the role of healthcare apparel and other healthcare textiles in transmitting pathogens. Biosafe antimicrobial offers medical textile manufacturers the ability to address these concerns. TW: What kind of toxicity testing is necessary to prove the safety of an antimicrobial, and how did Biosafe perform when tested according to these protocols? Wagner: Before a textile company uses an active antimicrobial, the active must be approved through the U.S. EPA FIFRA for use on textiles and apparel. The antimicrobial must pass a series of six acute toxicity tests. Companies can go beyond this protocol and also conduct biocompatibility testing under ISO 10993. Biosafe showed no negative effects in any of the acute toxicity tests. It also is considered biocompatible under ISO cytotoxicity, systemic toxicity, and intracutaneous toxicity. Further, Biosafe has been subjected to the 48 day repeat insult patch test (RIPT) and a mutagenicity test. There were no untoward effects, and the results are available upon request. TW: What trends do you see shaping the future of medical textiles regarding antimicrobial properties and other key requirements? Wagner: Medical textiles are considered personal protective equipment (PPE) and play a major role in protecting healthcare workers from transmissible pathogens. Recent literature1 clearly illustrates that healthcare textiles can be a vector for transmission of germs. The trends that will shape the future of the medical textile industry will be technologies than can enable textiles to reduce the acquisition, retention, and transmission of infectious microorganisms found in blood, bodily fluids, and the environment. Gelest’s Biosafe antimicrobial is a very small part of a medical textile. The market is large and the demands are for low-cost, high-performance products. If Gelest delivers powerful antimicrobial technologies at a competitive price, then we have done our job.